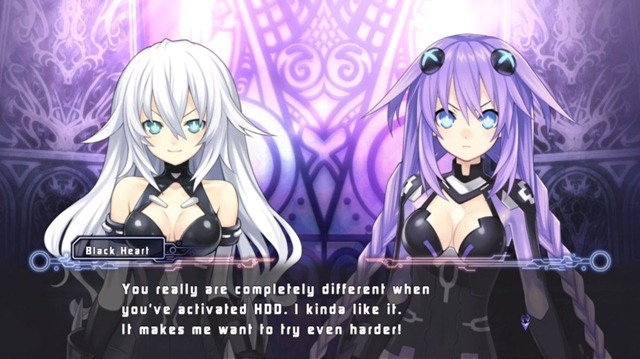 One of the most interesting games that genre fans have been keeping a keen eye on lately has been Hyperdimension Neptunia, an RPG developed by Idea Factory in conjunction with just about every small Japanese RPG developer under the sun – Compile Heart, Nippon Ichi, Gust and even Sega. This amalgamation of niche RPG names, and the world they’ve all created together, has been lovingly localized by NIS America, who were kind enough to send us out a preview copy of the title. I’ve played several hours of the game so far, and thought I’d fill you in on what I think of the game at this initial stage, and where I think it is heading, since I’m sure there are those who want to know. 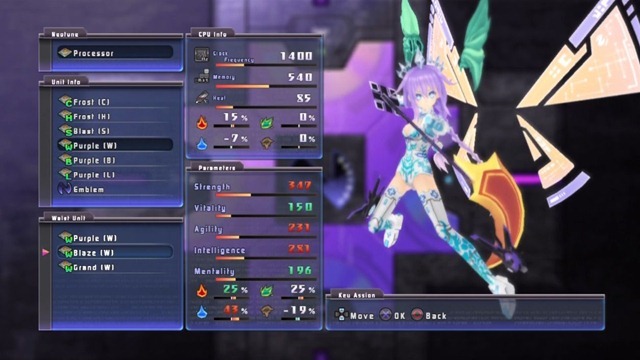 To start with, this is very much an Idea Factory game, and if you aren’t familiar with the way companies like IF, Gust and Compile Heart create their RPGs, they lean very heavily in the visual novel direction, so there are a lot of semi-static character portraits talking to each other. That composes the bulk of the dialog sequences. These can be a bit tedious to go through, but the story and dialog is what is important here – and always is in these types of games – so paying attention to that first and foremost will keep you interested in the game. In the first two hours of game play, there’s probably half an hour of dialog sequences, filled with another half an hour of the tutorial dungeon, before you can get out and explore the world on your own. 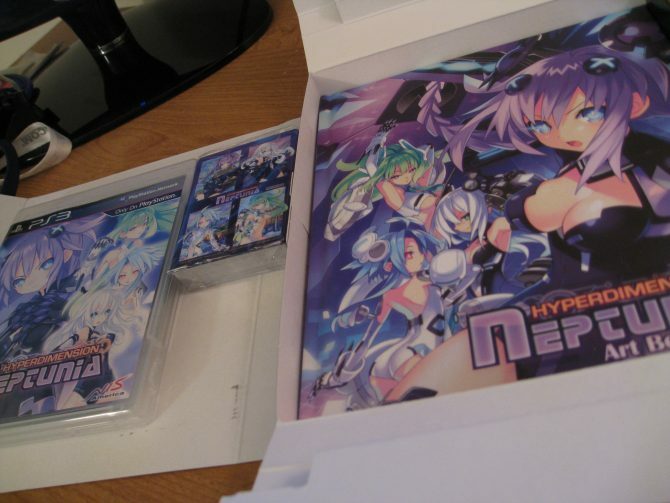 You meet all the goddesses initially, but then focus is given to Neptune, our main heroine. Histoire (pronounced yst-war, not his-tore-ee), an omnipotent being of some sort, made a mistake many aeons ago and created four goddesses to rule over four human worlds. These goddesses eventually figured out they couldn’t get along, and started a conflict called the Console War. 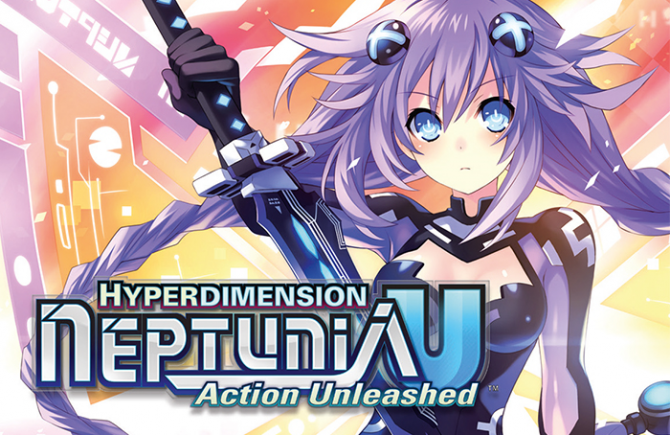 To restore balance in the world of Gamindustri, the other three goddesses decide to get rid of Neptune. They don’t dispose of her completely, but they banish her to the human world. She doesn’t remember a whole lot of her life as a goddess, but is shortly thereafter contacted by Histoire and recruited in the battle to restore balance to Gamindustri and fix past mistakes. You start in Planeptune (which is the world Neptune used to rule over) and meet a girl named Compa, who nurses you back to health and has an unnatural obsession with bandages and big needles. She’s your first party member, and runs you through a tutorial dungeon before you both go off on your way to save the world. 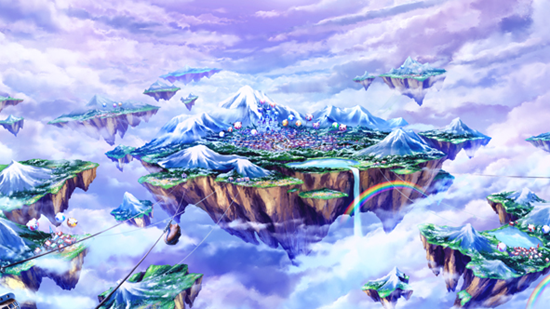 There is no overworld map, but you can rotate around the individual worlds, explore areas and visit specific locations for event scenes and both quest and story dungeons. Quest dungeons are just there mostly to build up your level and have very little to do with the actual story. Story event scenes and dungeons are what progress the story. And, after a short tutorial segment, you’re given pretty much free reign as to what to do and when. From the main world map you can also visit an item shop, mess with you characters, save and other odds and ends. I set it up so that you hit Triangle + Circle + Triangle + Circle. 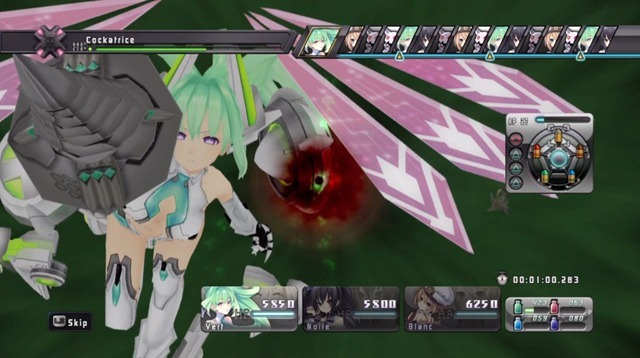 Doing that, you get the extra bonus damage from the combo itself, and you get the option to transform Neptune into her more powerful self at the end, which can be used for the rest of battle and has no other side-effects. You can also set up a combo chain, which requires a different combo completion option, but allows you to attack more per turn, assuming your combos are finished successfully and you still have AP. Naturally, all actions in battle take AP, and once your AP runs out, your turn ends. Chaining combos extends the amount of AP you have when successful combos are completed. Another combo finishing ability is a “summon”, called a ROM. This is the much-talked-about ability that will pull an image off your hard drive to use in-game as the summon. As far as I’m aware, the image has no effect on the power or outcome of the attack, it is just for the sake of aesthetics and the fun factor. Another interesting thing is that, for healing, you have to rely on a “chance to activate” mechanic. You can use item points to set each character’s chance to use a healing item at or below a certain health level. If you set Compa to use a health recovery item 60% of the time at 50% health, she has a 60% chance each time she’s attacked to use it if that attacks leaves her at or below 50% health. I haven’t had any problems with this system so far, but I’ve only done half a dozen dungeons. I’m a bit worried how this will play out later in the game. There is a maximum percentage total you can spill into a combination of skills, but this increases as the character levels up. All in all, I actually think the battle system is a bit unique, even if not completely so. Battles take a tad bit longer than I would like on Normal difficulty, but they aren’t tedious and are actually quite fun once you work out how everything fits together. Quickly, another note – there are random battles in this game, but they are not super frequent. Probably six to eight battles per dungeon total, including the dungeon boss (of course, this depends how much random running around you do, as well). So far so good, is pretty much the way I can sum up my first several hours with the game. If you want to know anything else, feel free to ask in the comments. 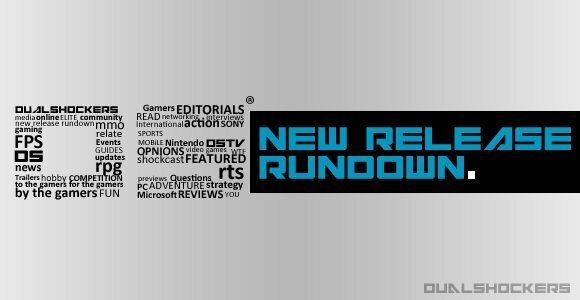 My full review will be up before the game launches on February 15, 2011. Stay tuned!